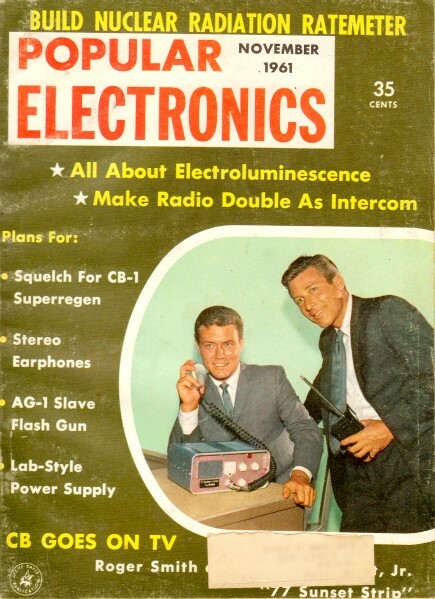 Here's a little more electronics humor from the November 1961 Popular Electronics. This time the topic is stereo equipment. See all articles from Popular Electronics. "I'm sorry to report that your living stereo ... has died." 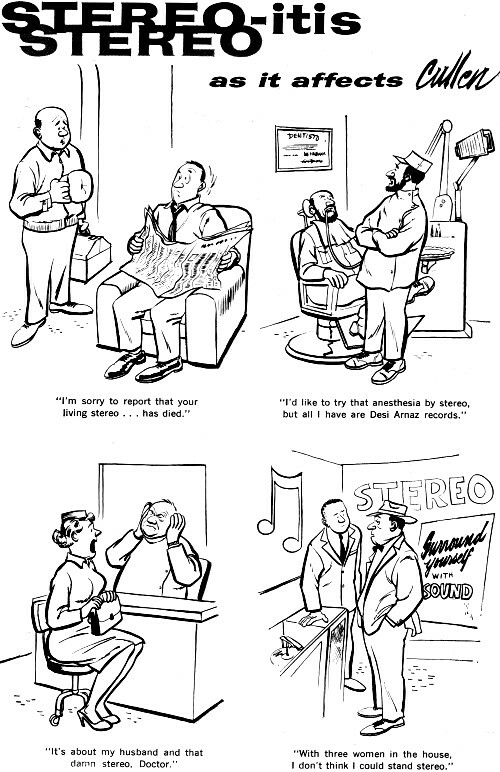 "I'd like to try that anesthesia by stereo, but all I have are Desi Arnaz records." "It's about my husband and that damn stereo, Doctor." "With three women in the house, I don't think I could stand stereo."